Experienced, Quality, Sheep Shearer, willing to Travel, still Loving the Job! Clean job, good rates! Alpaca, Llamas and Angora Goats, also. ​Assistance with flock health and management, de-worming, foot trimming. Long term knowledge and the gentle touch. Have sheep "will travel"! Sheep shearer quality, job good rates! 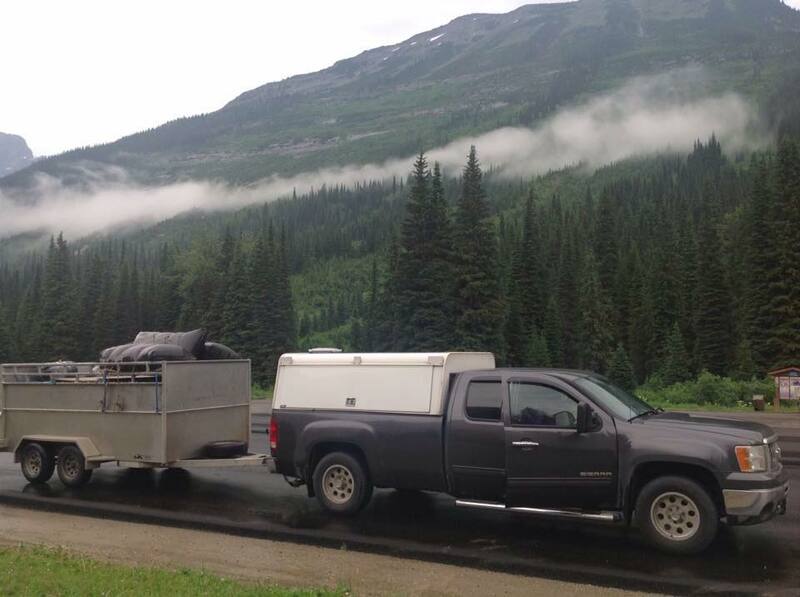 Shearing in the beautiful mountains of British Columbia! 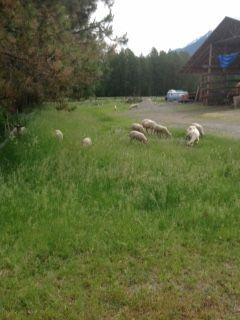 Corriedales at Aveley Heritage Sheep Ranch, Vavenby, BC A good time is had by all! Sheep are sheared using electric powered shearing equipment, verify a working electrical source. Dry, level ground is ideal with a sheet of plywood or wood floor if possible; not a tarp, as a tarp will slip as sheep are turned while being shorn. Catch sheep and pen 12 to 24 hours in advance of shearing. When sheep are penned, keep them off their feed for their comfort (no pasture, hay or grain). Sheep have 4 stomachs and hold up to 48 hours of plant matter in their stomach, which can lead to some bloat when handled for shearing.This also, keeps the freshly shorn wool cleaner and creates less manure on the shearing floor. 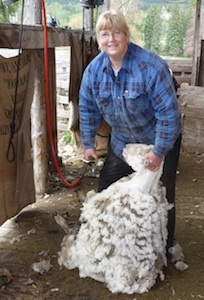 Have wool growers burlap sacks readily available to put the shorn, skirted fleeces in.